Listen here or download here. The latter may disappear by the 15th, but it would be available on iTunes after that. In his honour: What a fungi. Wait! I meant fun guy. 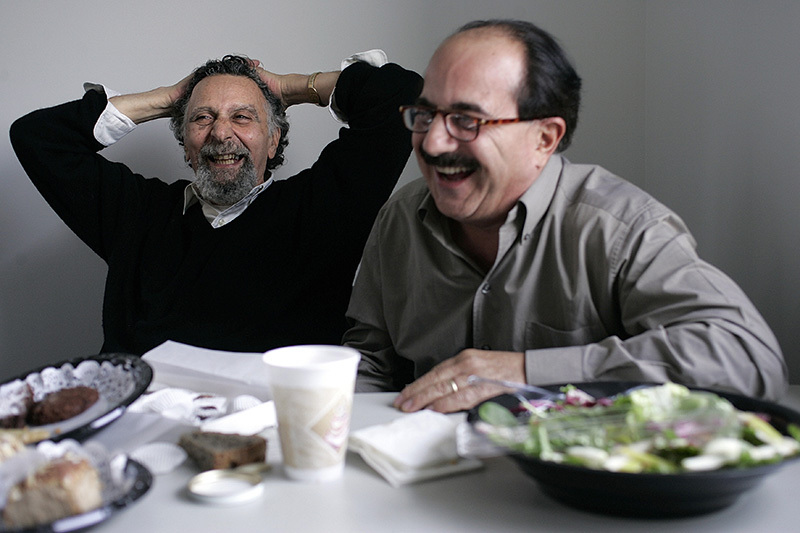 Tom and Ray Magliozzi at staff lunch after recording “Car Talk” on 22 December 2004 at WBUR in Brookline, Mass. This entry was posted in Radio and tagged Car Talk, Click and Clack, Ray Magliozzi, Tom Magliozzi.